Medway Assassins to play in U16 European Cup in Kaarst, Germany this weekend!! This weekend the Medway Assassins Skater Hockey Youth Team travel to Kaarst in Germany to take part in the Under 16's European Cup. Having qualified during the National Tournament last November, they now take their place in Germany and face teams from all over Europe. 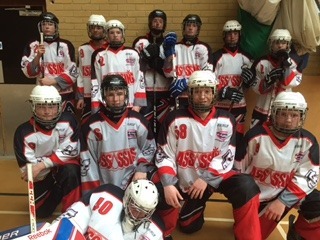 This is the first time that the skater hockey team from Medway has qualified for such a prestigious tournament and Club Manager Paul Rose said 'we are extremely proud of our players, who after winning the London and South East League last season went onto to qualify as the only English team to play in the tournament. Games take place on Saturday and Sunday and updates will be posted via the clubs Twitter account and via their Facebook page. Good luck to the Assassins and Enjoy!